Disney princesses are known for their beauty and kindness, courage and uniqueness. And in order to make everything done and have energy for the new hero acts – they’re have to be active! But some days youre just not in the mood and all you need is to wear something more comfortable and cozy and relax. Join Elsa, Anna, Ariel and Cinderella at both of their lifestyles. 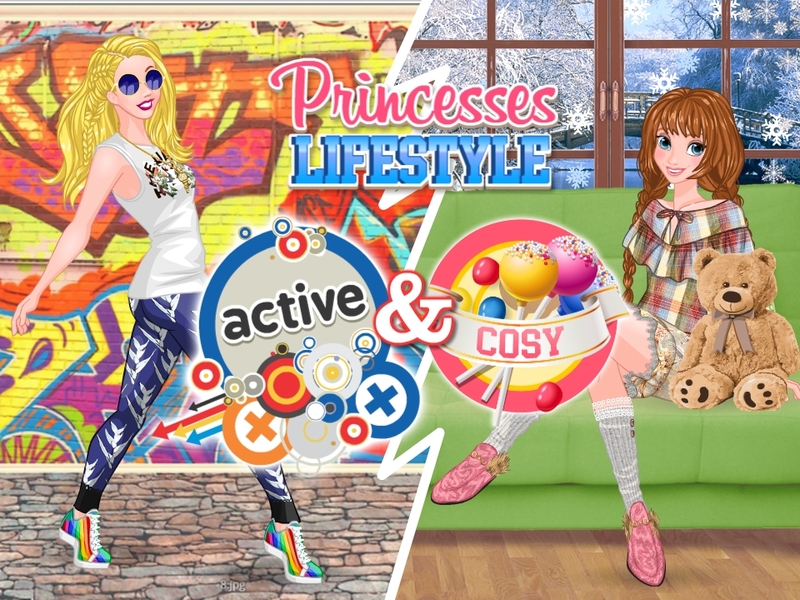 No matter what mood princess is – all of them want to look stylish. Will you help them? Have fun!